maintain the cleanliness of the inside and the outside of all facilities belonging to the congregation. Oversee safety and security of the facility. Test fire and security systems according to schedules stated by the manufacturer. Control the distribution and use of keys. STATE ANY RESTRICTIONS, SUCH AS “ANY WEEKDAY,” “ANY DAY BUT SATURDAY,” OR “ANY DAY BUT SUNDAY,” ETC. Report regularly in person to the property committee meetings to advise the committee about the status of projects, budgets, emergencies and unexpected expenditures. file a written report to the Committee. report by telephone to the chair of the Committee. Develop and maintain a list of projects to be done in conjunction with cleaning, maintaining and repairing the facilities belonging to the congregation, complete with dates of expected completion. The list will be updated at each meeting of the property committee or more frequently. Review cleaning procedures to assure that the choice of cleaning chemicals and their application does not harm the surfaces of the materials to which they are applied. Help develop a written maintenance schedule with the assistance of the property committee. Keep the schedule up to date by revising it periodically. Prepare and maintain a budget for care of the property belonging to the congregation. Reduce the energy consumption of the facilities owned by the congregation. Record the use of electricity and fuel from each invoice. Compare each month’s usage of electricity and fuel to that of the month from the previous year. Strive to lower each month’s electric and fuel use compared to the months of prior years. Report to the property committee about progress in reducing energy consumption and cost. Understand the electric and fuel use in comparison to similar facilities in similar climates. 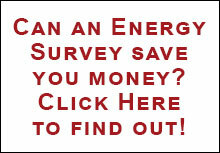 Implement the operations and maintenance suggestions from any energy surveys. Clearly label the function of every switch, pipe, circuit breaker, duct and valve if not already labeled. Control the distribution of keys to the facility. Manage projects and coordinate contractors and vendors to assure that projects are completed on schedule and within budgetary expectations. Assure the safety and well-being of people visiting the congregation. Become acquainted with property managers working for neighboring congregations, learning particularly what skills may be shared among the group. Maintain the facility in a sanitary neat, organized and orderly fashion. Maintain an adequate stock of maintenance supplies. Coordinate rubbish removal. Clean, dry and store dishes and kitchenware. Keep track of the contents of refrigerators and properly dispose of unusable items. Purchase materials at the lowest practical cost, not at retail price. Maintain MSDS records on any chemicals purchased and have those records accessible in case of emergency. Review purchases over $____________ with the committee. Keep records of projects undertaken and enter the records in the building archives. Clear snow to maintain safe entry to the facilities. Clear snow to maintain safe entry to the facilities as required by municipal code. Clear snow in all parking lots belonging to the congregation and to maintain safe entry to the facilities. Mow all the lawns associated with the facilities. Maintain the gardens associated with the facilities. Supervise the maintenance of the grounds belonging to the congregation. Maintain the vehicles belonging to the congregation. Maintain the cemetery belonging to the congregation. Keep informed about property maintenance by attending seminars and workshops, by reading, and by discussing property management issues with fellow property managers. Keep informed about the congregation’s activities and interests. Maintain a warm, courteous and professional manner. Maintain a pleasant telephone manner. Help to resolve any building operation problems that may occur and/or contact congregation members or volunteers who can assist with specific building operation problems. In addition, the congregation offers ________ vacation days to be taken with the advance notice of _________ days. Given ________ days notice, this agreement may be terminated without reason or cause either the congregation or the Property Manager. If termination is immediate and with no notice, the congregation agrees to pay the Property Manager a lump sum equal to that earned during the number of days notice specified above, including benefits.